Helipad Photo Quiz - Which helipad is this? OK, so I'm bored and really should be in bed. But I ended up on http://www.nearmap.com and thought I might check out who knows what around here. Basically I go onto nearmap.com and get a screenshot of a helipad, you can do this to, but try and get a heli on the pad as well. Can do the same with Google Earth as well! Get the right answer and I, or someone else, can put up another one. A hint though, crop the image so you don't ad any essential details like lat & long and location. Last edited by BrettC on Thu Apr 29 2010, 23:43, edited 1 time in total. 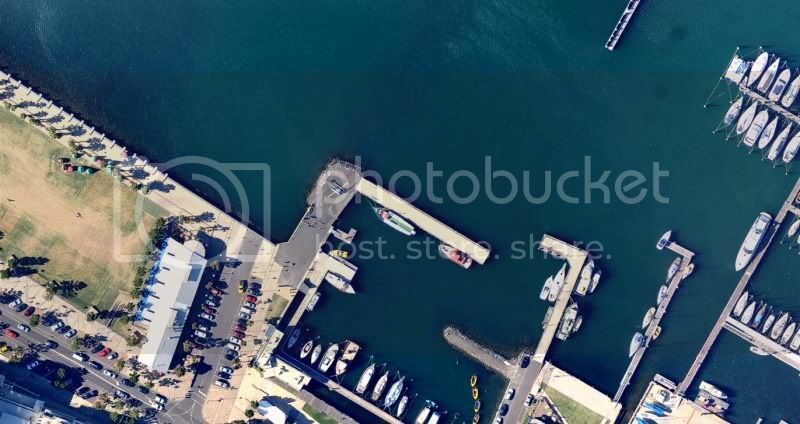 Re: NearMap Quiz - Which helipad is this? I think the WA EMS 412 is all yellow so I guess a hospital in WA, perhaps Perth? slapme over and over wrote: I think the WA EMS 412 is all yellow so I guess a hospital in WA, perhaps Perth? OK - so i'm sitting here with nothing to do either. If I Was A Bird wrote: OK - so i'm sitting here with nothing to do either. Spot on, ok how about this? Yarra Helipad, Microflite EC 120? pohm1 wrote: Yarra Helipad, Microflite EC 120? its wanda beach helipad , cronulla NSW. easiest one of the lot! your bored eh? tell me the minimum stinger height requirement on the 22 befroe the crosstube replacement is required! bladepitch wrote: its wanda beach helipad , cronulla NSW. easiest one of the lot! Well I would give it to you tomorrow afternoon but you're away at the moment! Minimum stinger height - 3 foot high I believe? And Wanda's spot on, nice one BP! I think I still owe you a beer to don't I? OK, next location, this will be easy! Is it Albert Park Lake in March for the Grand Prix? pohm1 wrote: Is it Albert Park Lake in March for the Grand Prix? "It's wabbit seathon! It' duck seathon! I dare you to shoot me now!" No we land opposite the main straight. No heli's on the track. I just had a look at Randwick, but not there. Remember (copper talking here) it has to be visible on nearmap for someone to post it, so you could go looking first and then see the actual view, complete with heli's. Red Bull Air Race, The Esplanade, Perth 2 weekends ago? Nearmap? Is that like Google Earth? I’ve been using that to keep an eye on my place while I’m away, not a lot happening there but!?!? Yup, shot was taken at the RedBull Air Race but it was actually 2008. I'll give you that though! Yeah NearMap is done by an Australian company, much better resolution than Google Earth and it gets updated about once a month! Hmm, going to have to stop putting local ones up. Will have a look through the maps, looks like I'll be away for a couple of days so someone else might have to put a few up! Another coastal vista. Yes, it is a daily HLS.